Our new, incredibly compact, Artnet LED pixel controller allows you to run 16 universes on one slice. In addition to the power in/out, each slice has 4 outputs and each output supports 4 universes. So in total, you can control 2048 RGBW LEDs at full frame rate, or 2728 LEDs in RGB mode. 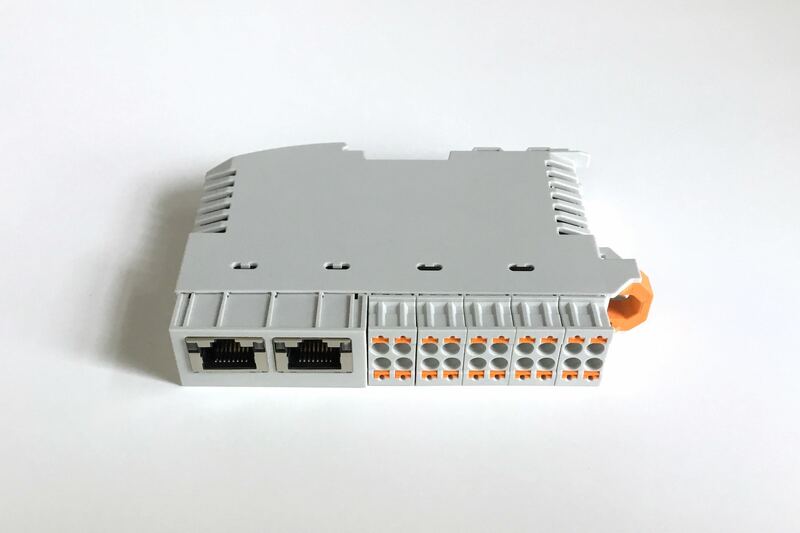 With an onboard embedded ethernet switch, these units can be daisy-chained, minimising network wiring and additional switch requirements. 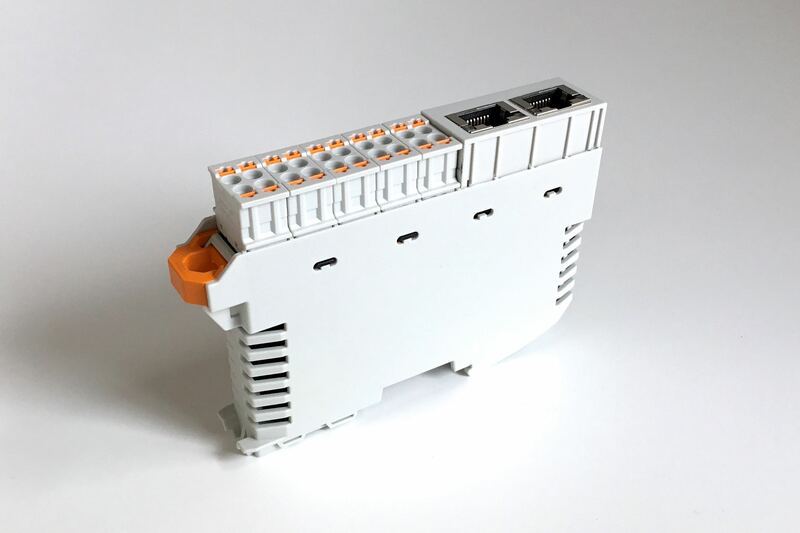 It is also DIN rail mountable for ease of use. 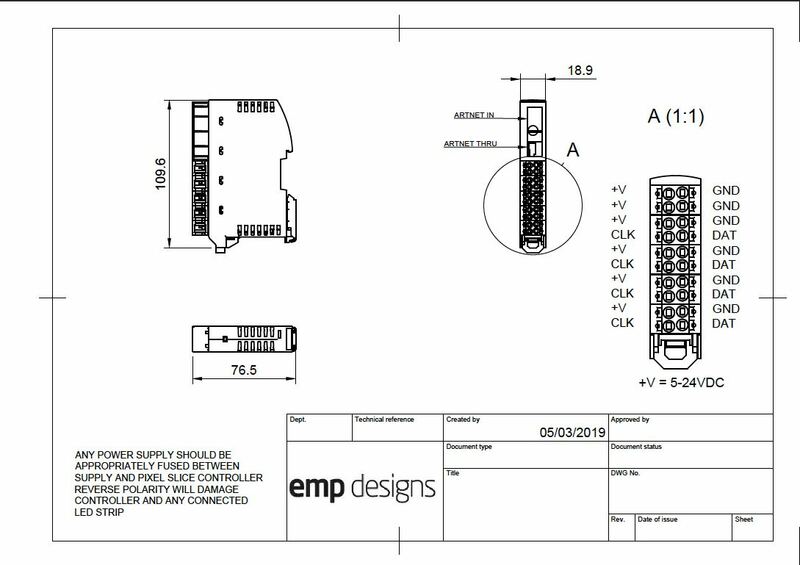 Leading the way with space economy in lighting control at EMP, the unit is just 19mm wide and much smaller than others on the market. Using just 5 of these 19mm pixel slices, you can run 10,240 RGBW LED pixels using less than 100mm of DIN rail. Contact us for more information. This product is our standard configuration available from our sister company TrueLED. At EMP Designs, There are no limits to how we can manipulate or develop the specifications to your needs. Please contact us to discuss.